The course for Friday’s short track was rather one dimensional: straight up a ski slope road, climbing grades up to 20%, and then a bermed descent back down. With all time to be gained on the steep climb and no way to make up time on the descent, this was one for the climbers. Hunter Resek, a great climber and cross racer, was primed for success here, but a collision with another rider at the start damaged his pedal and he was unable to clip in for the entire event. He would eventually finish 32nd. In the women’s short track, Alex Christofalos and Rachael Freeman got solid starts. 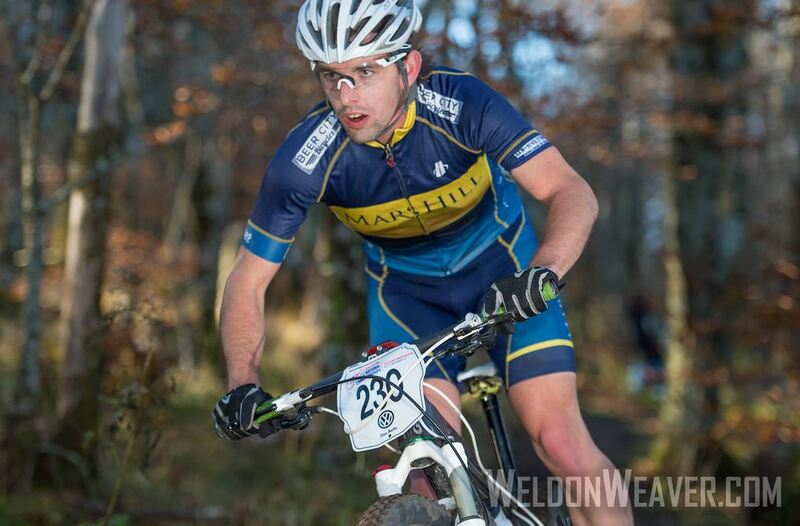 Alex was 12th after the first lap, moving up to 9th by the finish. Rachael road a strong and steady race to finish 21st. Saturday’s cross country course featured the same climb from the short track, just about twice as long. At the top the course went into fairly non-technical singletrack before descending the back to the start on the bermed descents. 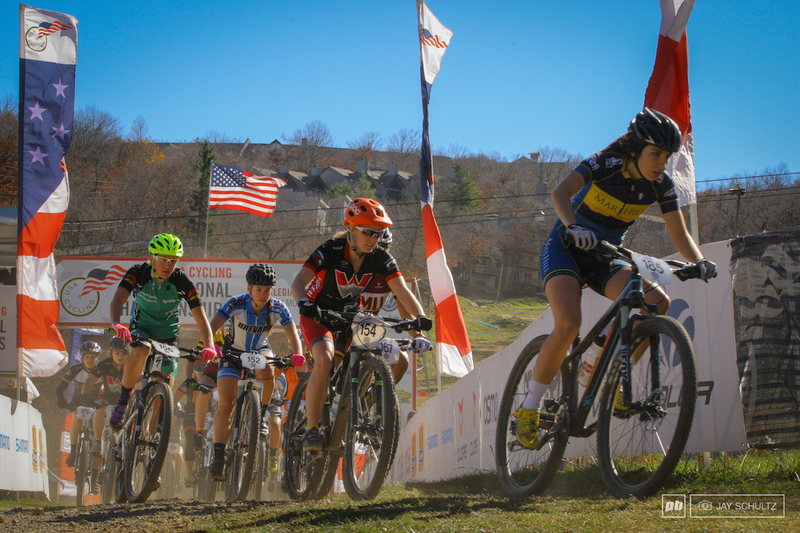 This course favored the exact same riders as the short track and every race saw the winners from the short track repeat their wins in the cross country. In the men’s event, Hunter finished 32nd again. 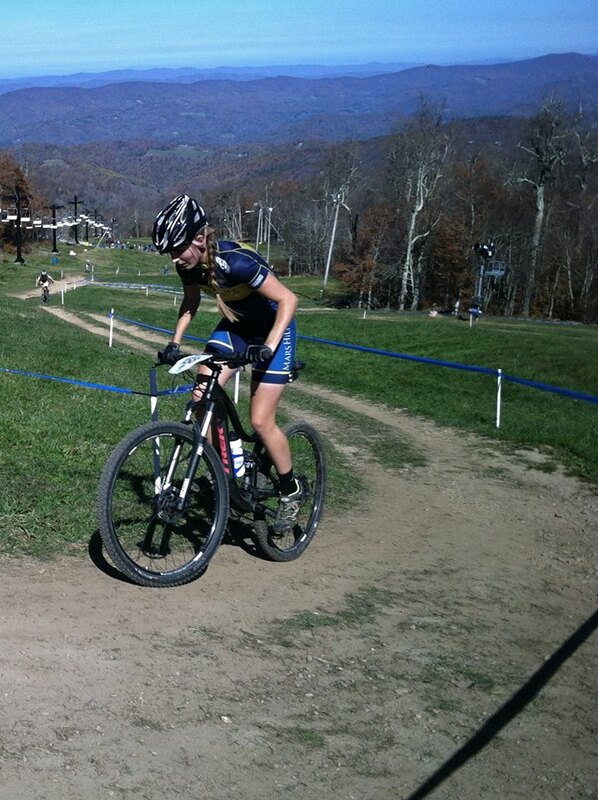 For Mars Hill’s women, Alex finished a solid 12th, just outside of the top 10. After the dual slalom, she would finish in 10th overall. Rachael had another solid and steady cross country race and finished 21st again. Watch for these women in the future; they will be podium contenders next year. 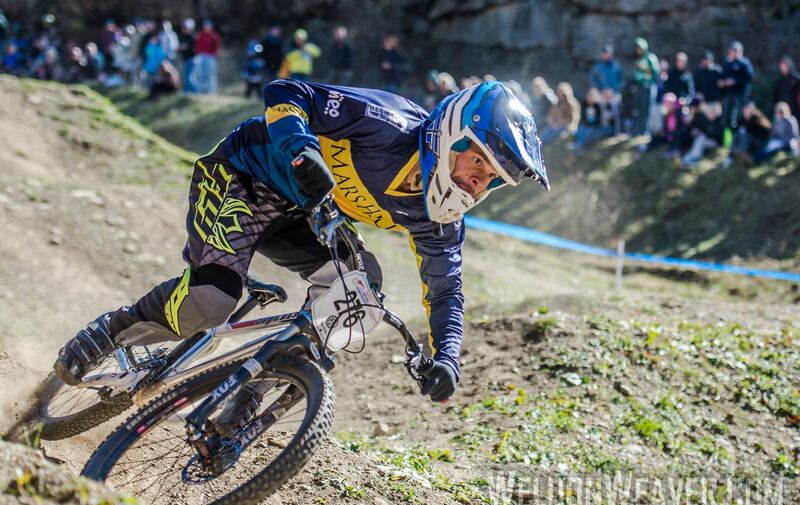 Sunday racing included the team relay and dual slalom. The team relay is a coed event of four laps of the short track course with a different rider racing each lap. We were in 3rd with one lap to go but got caught by a few on the steepest part of the climb and eventually finished 7th. The dual slalom was a highlight. In women’s qualifying, Alex finished a solid 16th in her first dual slalom event ever and moved on to the afternoon finals. Alan Hudson finished a very strong 5th in men’s qualifying. Alex was out early after having to race the number one seed in her first matchup and finished 16th. Alan made quick work of his first two opponents and moved into the top eight. His third opponent was quicker though, and although Alan had the lead in the first of two runs, a slight bobble near the bottom had him finish .26 seconds behind. In the second run, Alan would have to win by .26 to advance to the semis. He crossed the line ahead, winning by .21, just a few hundreths of a second slower than needed. So close! 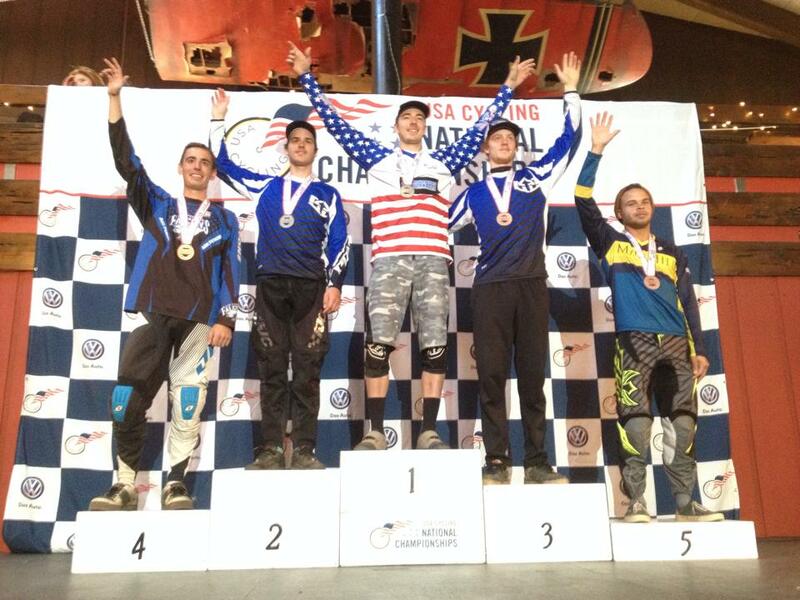 Alan would finish 5th overall, his first individual podium at a collegiate nationals. After bad crashes and protested DQ’s at previous dual slalom nationals, Alan’s medal was long overdue and very well earned. Watch out for him at next April’s BMX nationals in Atlanta. Overall, it was a great weekend with five top tens, a podium, and lots of confidence built for the future. Thanks to all our sponsors and supporters for helping make these lifetime experiences possible. And to photo ace Weldon Weaver for a couple of these pics. See more of his pics from nats HERE.